The Community Finance initiative provides access to low-interest loans and financial literacy. When applying for loans, low-income families in New Zealand will most likely face one of two outcomes: be denied, or be approved for a loan with interest rates so high they won’t be able to meet the required payment on time. 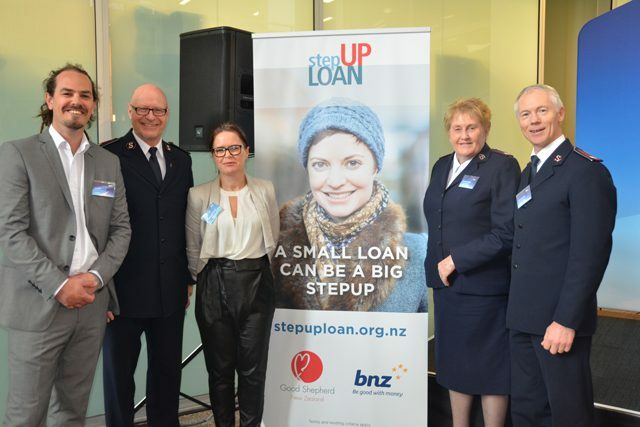 To help, The Salvation Army New Zealand Territory partnered with Good Shepherd, the Ministry of Social Development, and Bank of New Zealand to establish the Community Finance initiative. The Community Finance initiative offers repayable loans to those on low incomes so they can effectively manage debt, build financial literacy, and improve their quality of life. To qualify for loans, applicants must be on a low income from work or benefits, hold a Community Services Card, have lived at their current address continuously for at least the past three months, and be able to repay a loan. If they meet the criteria and are approved, The Salvation Army will monitor repayments and provide support and financial education throughout the span of the borrower’s loan. One of the plans available is the No Interest Loan, which provides low-income individuals or families affordable credit to purchase essential household items or services. The loan amounts are typically between $300 and $1,000 and can be repaid with affordable plans of up to 18 months. The second and most popular plan available is the Step UP low-interest loan. Loans can run from $1,000 to $5,000 at an interest rate of 6.99 percent for a maximum repayment plan of 36 months. These loans can be used for purchasing second-hand cars or repairs, education expenses, beds, furniture and even funeral arrangements. The Community Finance initiative was established in 2014, and is housed in The Salvation Army Community Ministry Centers in Manukau, Waitakere and Mt. Wellington. With the success of the original three centers, The Community Finance program will soon also be offered Whangarei, Napier, Palmerston North, Porirua, Wellington and Invercargill. By eliminating high interest rates and unexpected penalty payments that are often tied to typical loan programs, The Community Finance program helps customers avoid unsustainable debt.